Thousands of years ago, when extreme cold gripped the North American continent, flora and fauna most suited to northern latitudes migrated south, covering what is now North Carolina. As the cold retreated and temperatures climbed, the trees and animals more suited to warm weather returned. Except, that is, for those living on the highest peaks in the state. Like islands of alpine forest in a sea of temperate climate, the rounded precipices of North Carolina’s loftiest mountains still have look and feel of their Canadian counterparts—none more so than Mount Mitchell, standing 6,684 feet above sea level. 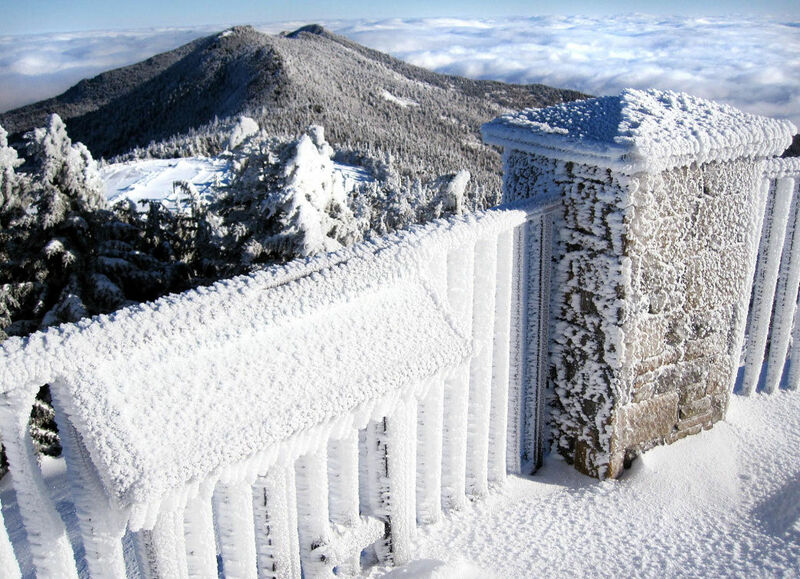 Coated in crystalline frost even while surrounding valleys are bathed in relative warmth, Mount Mitchell is among the best places in North Carolina to experience a real winter wonderland. Here we offer four reasons to brave the fickle conditions on the East’s loftiest peak during its harshest months. 1. You’ll earn serious bragging rights. Hiking to the top of the highest peak east of the Mississippi is a formidable goal any time of year. But in winter, when the Frasier fir trees are dusted with snow and a brutal wind forms sideways icicles, hearty hikers gaining Mitchell’s summit become part of a special club. The Mount Mitchell Trail is the most popular summit route in the state park. This 6-mile, one-way trail begins at the Black Mountain Campground and wanders through several distinct biomes on the way up. Mountain laurel and rhododendron line lower elevation creek beds. Mountain maple, spruce, and birch trees crowd for sunlight midway up, while the last remnants of an alpine fir forest cap the final stretch. The Black Mountain Range, a 15-mile stretch of peaks anchored by Mount Mitchell, stands high enough to affect the weather. Temperatures have dropped to minus 34 degrees while wind gusts of more than 170 mph have been recorded at the peak—and it’s important not to take a winter day here lightly. These conditions certainly add to the challenge, but also to the accomplishment. 2. It’s a different world in winter. During spring, multi-hued flowering bushes line babbling creeks on the mountainside. Songbirds fill the trees and lush vegetation buffers the trail in an expansive green carpet. 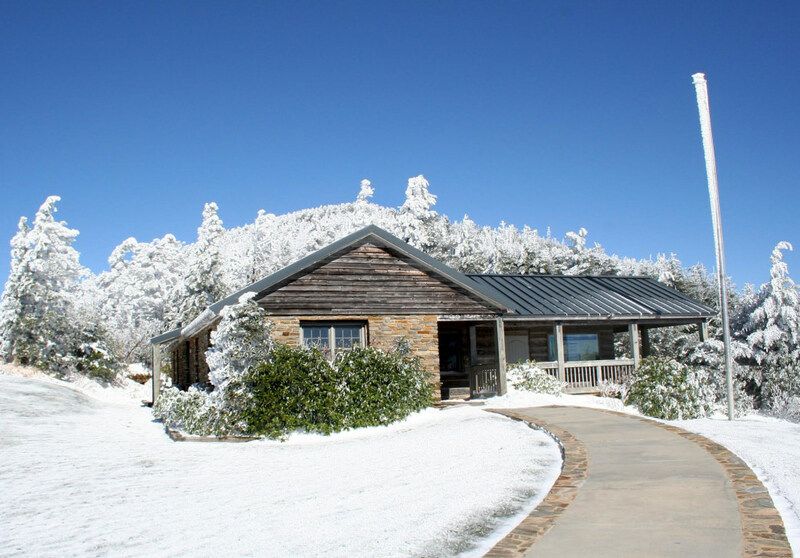 But winter brings an entirely different mood to Mount Mitchell. There are no songs from the forest now; just the crunch of your footsteps on frozen trail reverberating off weathered tree trunks. On a rare, still day, there is no other sound. On a typical day, however, the whistle and howl of wind overhead surrounds you. Down low, at the beginning of your hike, branches are coated in a heavy snow. Nearer to the peak, horizontal ice formations and bowed trees are static reminders of punishing winds. Where a blue haze might limit views in the summer, clear winter days provide vistas of frosted peaks up to 80 miles away. It’s a special kind of serenity that only a winter hike affords. 3. You’ll savor plenty of solitude. The challenge of climbing some 3,600 feet to the top of Mt. Mitchell may be substantial, but in good weather it’s a common undertaking. No surprise, then, that the Mount Mitchell trail can be heavily trafficked in summer. And at the top, where a large parking lot sits adjacent to the snack bar and museum, families and groups of motorcyclists can crowd the view. In winter, however, the snack bar and museum are closed for business. Difficult road conditions, school schedules, and the tough climate keep many visitors at bay. The quiet of the trail continues all the way to the top. It’s a memorable outdoor adventure not possible on busy summer days, making the wind-burnt skin and cold toes well worth it. 4. You’ll find plenty of post-hike happiness nearby. 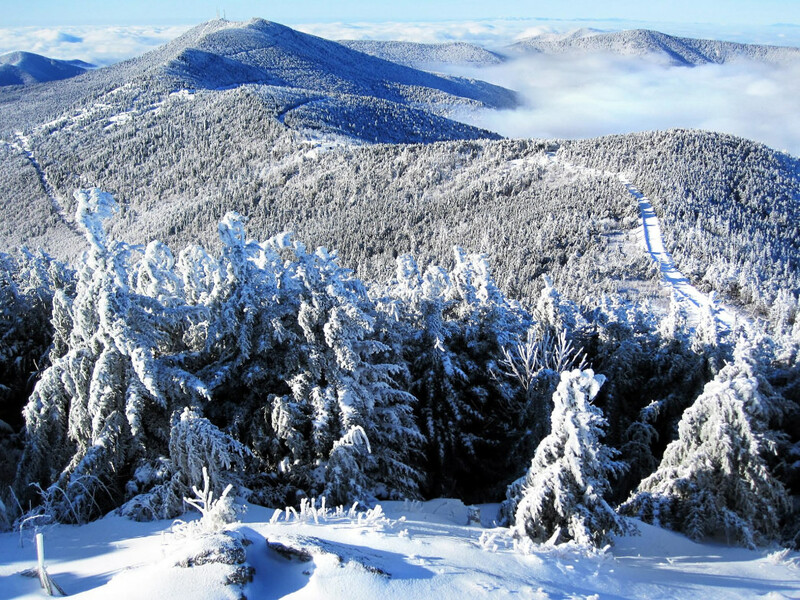 A winter exploration of Mount Mitchell will chill your bones and burn some serious calories. These days are made for hearty craft beer and huge, wood-fired pizza. This perfect one-two punch awaits in the quaint town of Black Mountain, due south of Mount Mitchell. Begin with a stop at Lookout Brewing. This nano-sized brewery crafts the full range of flavors, from a crisp IPA to a soul-warming stout. There’s nothing fancy about the place, just true-to-style brews and a comfortable atmosphere to knock them back in. 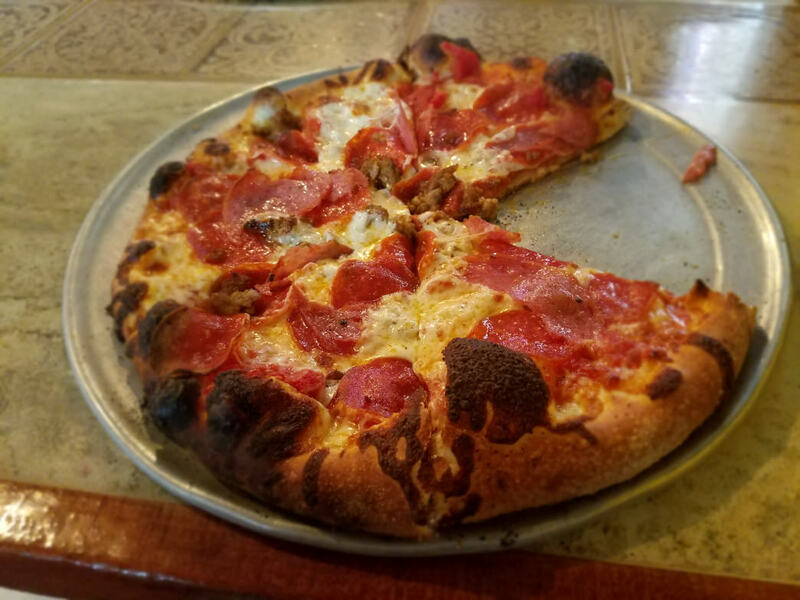 When you step out of the taproom, follow your nose across the road to Fresh Wood Fired Pizza and Pasta. Settle into this cozy restaurant and watch while bubbly-crusted pizzas are pulled from an 800-degree stone oven. (The typical pie comes with a charred crust which creates a wonderful flavor, but you can ask them to leave it un-charred if you prefer.) The calzones are the size of a small RV and the beer selection is admirable. Leaving hungry, even considering your incredible effort earlier in the day, is unlikely. Check the weather report before setting out. It changes quickly here, and being caught in a blizzard with howling winds is no joke. Bring your hiking poles for this trek. They can provide a lot of support on an icy trail. Check the park website for closures. The park staff works hard to clear roads, but they may shut down for a day or two after a heavy snow.